Ocean Wisdom has enjoyed a meteoric rise thus far. 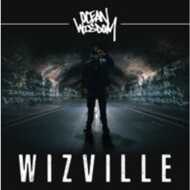 Hailed as “the future of UK Hip-Hop” by Complex Magazine with a style described as "Mercurial" by Dummy Magazine, Ocean Wisdom is about to embark on his finest hour to-date as he announces the release of his album ‘Wizville’. Due to release on the 23rd February, the raw poetic and unfiltered rapper has built an impressive following in his own unique way, away from the tried and tested routes of fellow rappers. He regularly tips a million streams on tracks uploaded to his Spotify account and his videos uploaded to YouTube have hit over 15 million views making him quite an extraordinary act. His unswayable integrity and confidence towards his music has awarded him with the kudos that it takes to confirm artists such as Dizzee Rascal, Method Man, P Money, Rodney P, Roots Manuva & Chester P and productions from Rude Kid, Pete Cannon, Mystry and more across the 20 impressive records that make up this important offering. Whilst unique blends of genre-merging flows weave in to thoughtprovoking lyricism to create a tapestry of moods, emotions and sonic nirvana.